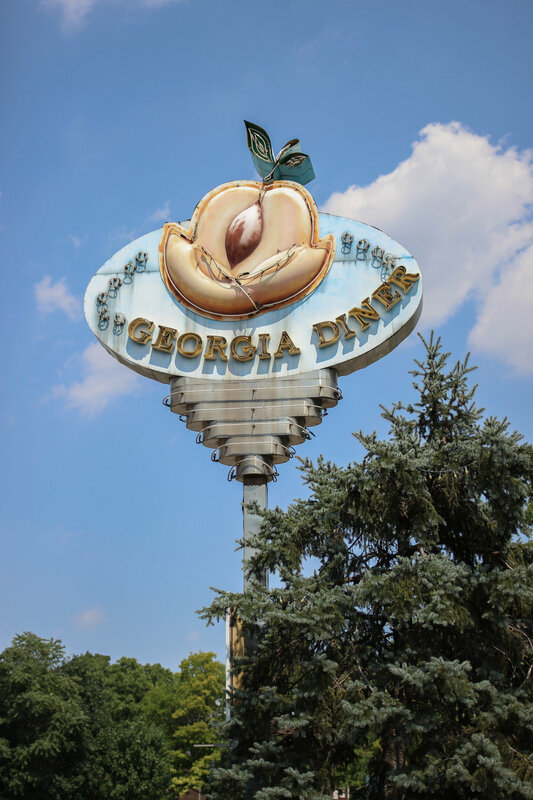 I first went to the Georgia Diner in the summer of 2015, but I only photographed the outside for an article I wrote for Need Supply lamenting the demise of the diner. 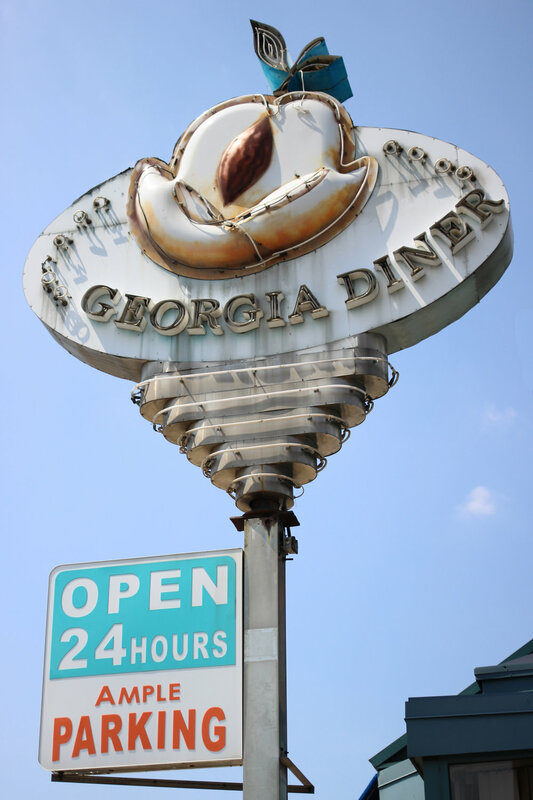 Sadly, the Georgia Diner closed on Sunday, March 25th. 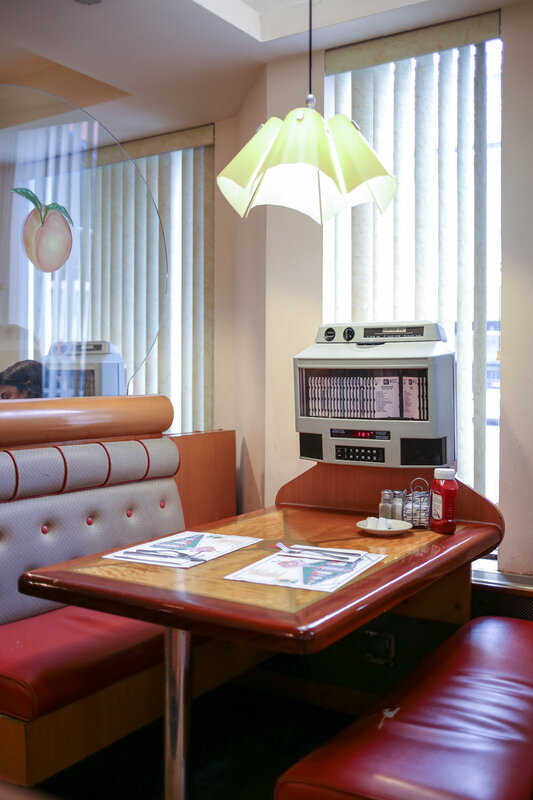 The building will be demolished and although the diner staff has merged with the nearby Nevada Diner—they share owners and managers—it's still a huge loss to the ever-dwindling list of classic New York diners. 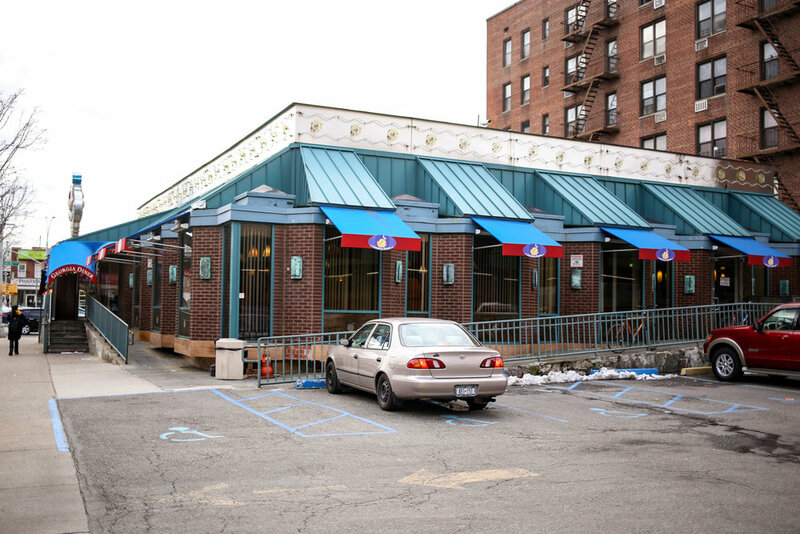 The Georgia Diner opened on Queens Boulevard in Elmhurst, Queens in 1978. 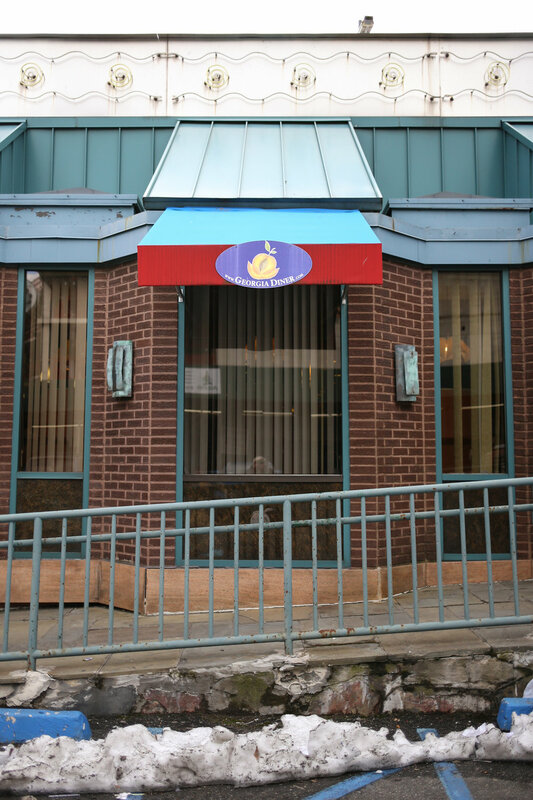 Three years ago, a portion of the diner's parking lot was sold and recently the same developer bought up the rest of the property for $14.25 million, with plans to build an 18-story apartment and retail complex. 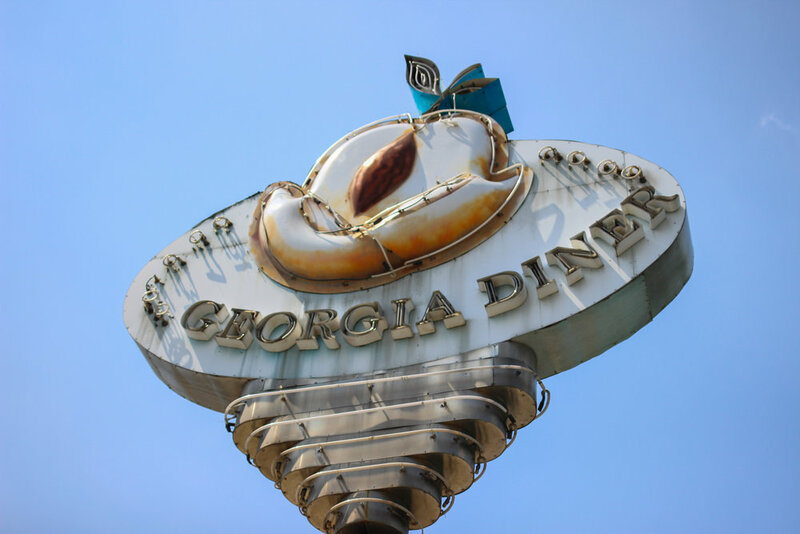 I regret that we didn't actually eat at the Georgia Diner until its closure was imminent because it had everything I look for in a diner experience—a huge menu, delicious breakfast, surly waitress, intricate neon sign and a time wrap interior. 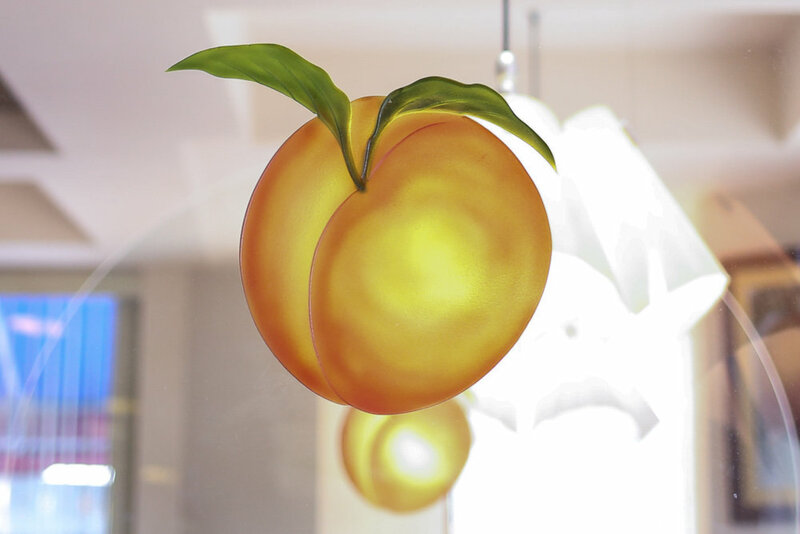 They leaned heavily into the Georgia peach theme, with peaches appearing on the menu, placemats, booth dividers, tabletops, awnings and etched into granite panels on the exterior. I have a knack for attracting older men who can't wait to mansplain to me whatever I happen to be photographing, and this outing was no exception. 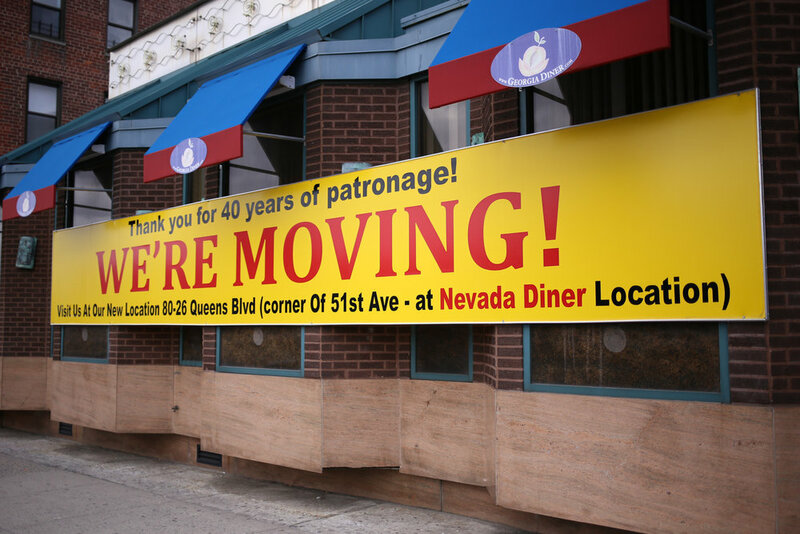 As I was photographing their two double-sided, somewhat NSFW neon signs, a man appeared to tell me that they planned to move the signs to their new location, which is located just a few blocks west on Queens Boulevard (some of these photos are from my first visit, when it was sunnier). 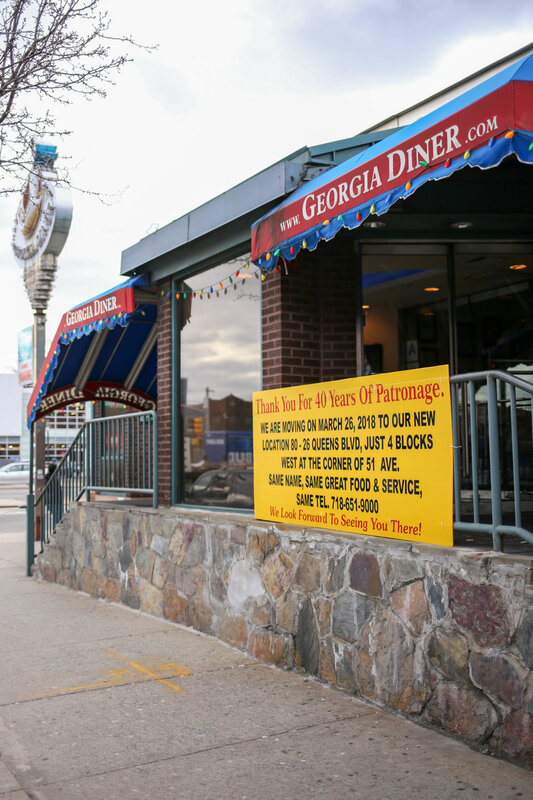 I can't fault the owners of the Georgia Diner for cashing out and I'm glad that the staff and food will live on in their new location. 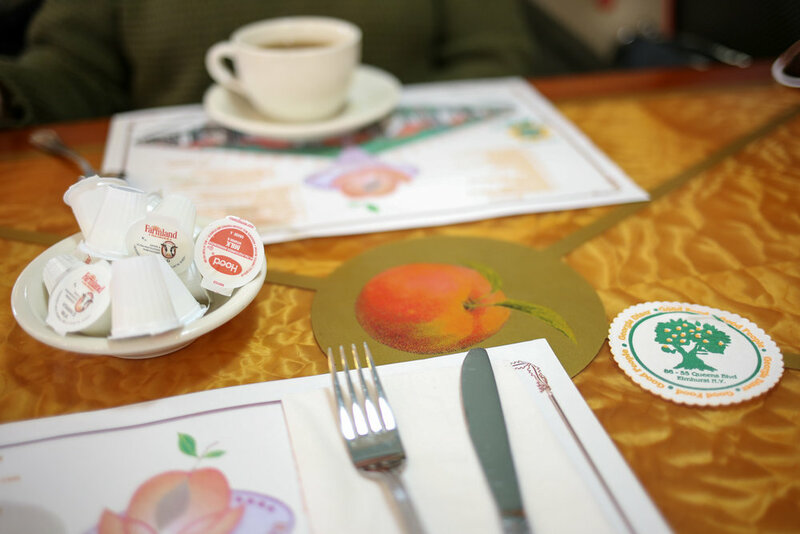 I haven't lived here five years yet and already I've mourned the loss of the Market Diner, The Cup & Saucer, Gene's Coffee Shop and countless other diners that closed before I ever had the chance to visit. 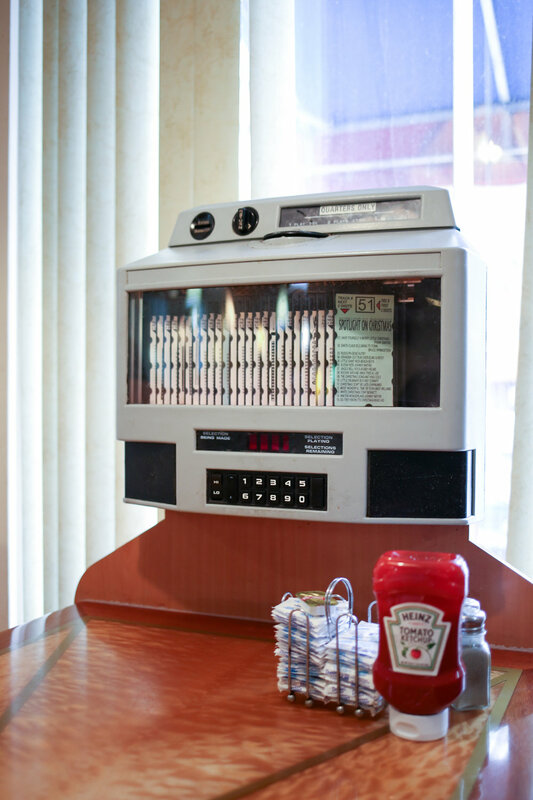 Other beloved spots are living on borrowed time, threatened by rising rents, retiring owners, changing tastes or other factors beyond their control. I feel like I'm scrambling to keep up, but all I can do is frequently patronize the places I love the most while I still can.